Reading poetry by Jackleen and me for High school students in the city of Barrie, Ontari, part of Pen Canada event. 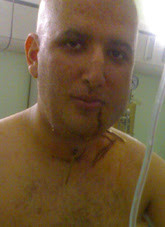 Imprisoned journalist and blogger Arash Sigarchi before and after surgery. IWC : Get well soon Arash ! 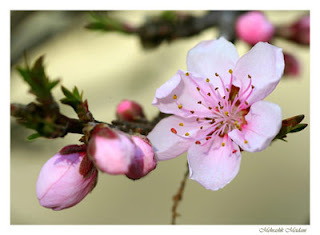 Nowrooz Mobarak ! Happy New Year ! 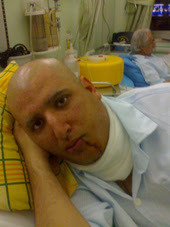 Arash Sigarchi the imprisoned journalist and blogger after surgery to remove the cancer tumor from his mouth. 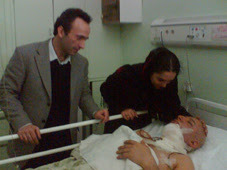 In his blog Arash said that; they have sold their house to pay the medical bill and now they live in renting apartment. They sold their house for $ 22,000 and for just this operation he is going to pay 6-7 million Tuman ( Almost $ 8000).Arash still need our financial help . Right now Arash is on leave of absence from prison for medical reason. Arash was sentenced to two years prison sentence. 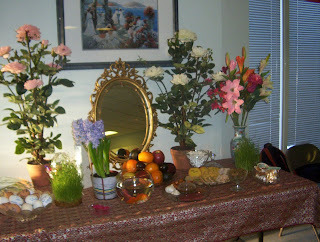 It's Persian New Year time ( March 21 to 13 days holiday). Iranian New Year starts with "Nowrooz" ( New Day) . Happy Nowrooz ! Happy New Year ! May your New Year be a Healthy , Happy and Prosperous ! Peace , Social justice and Human rights in Iran & Middle East! Unfortunately we do not know how many teachers have been arrested on last Wednesdays' teachers protest in front of the parliament ,but the ministry of justice have said it will release 44 detained teachers till the end of New Years holiday and upto now only five teachers out of 44 have been released. The vice president also said : The board members of the Association of Technical Teachers are all in prison and there are no news about them because they can't make telephone call to their families. Mr. Poorvosugh reminded that : In the city of Kermanshah also 15 teachers were detained and upto today 11 of them have been released and the rest are still in prison. The vice president of the Association of Teachers said : We do not beg for teachers release, but we remind that if the teachers are not released our colleagues might react in a way which would become harder to control and the responsibility is on those who try to suppress teachers from their freedom. Mr. Bagher Batebi the father of Ahmad Batebi (the imprisoned student leader) in speaking with ISNA reporter have said: "From last Saturday my son has come for 20 days leave of absence from prison". Naser Zarafshan released after five years imprisonment. In these pictures he joined a gathering in " Khavaran" cemetery where hundreds of political prisoners are buried in mass grave. More than 50 journalists , political and social activists from Kurdistan province of Iran in a statement demanded for the release of Mr. Mansur Taifuri and Mr. Adnan Hassanpoor. They expressed their concern on these individuals who are still in prison. Mr. Taifuri is a writer, translator and member of the Association of Journalists in Iran and Mr. Hassanpoor is a journalist. Because of International protest and support Mahbubeh Abasgholizadeh and Shadi Sadr are released from Evin prison! After spending 16 days in Evin prison, both Mahbubeh and Shadi are released with separate bail of 250 and 200 million Tuman ( 1 Canadian dollar = 800 Tuman). They spent 10 out of 16 days in solitary confinement and the rest in the cell # 209 of Evin prison. In another news Madame Shirin Ebadi ( The Noble Peace Prize Winner ) spoke on behalf of her client Mr. Sohrab Razaghi the director of "Koneshgaran Centre" She said : Closure of this centre is illegal. "Koneshgaran Centre " is a workshop institute for NGO's based on volunteer work on civil society .Ms. Ebadi said: The actions of these agents who have searched Mr. Razaghi's home and confiscated his writings is illegal and we will file complaint against this actions. Two NGO offices has been closed ! "Rahi" Legal Centre and Workshop Centre for the NGO organizations has been closed. In the evening of Thursday March 15,the office of Rahi Legal Centre and Workshop Centre for NGO Organizations was searched and closed by the agents of Tehran court of revolution. The " Rahi " Legal Centre is founded by Ms. Shadi Sadr the lawyer and a defender of women's rights. The Centre was managed by a group of volunteer lawyers. This Centre was giving affordable counselling to women. This centre was very successful in defending the women's rights. 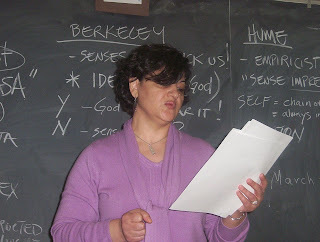 The Workshop Centre for NGO organizations is founded and suppervised by Ms. Mahbubeh Abasgholizadeh one of civil and human rights activist and it is trying to help to educate civil and human rights organizations. According to "Meydan" reporter Mr. Shahram Masibi centre's accountant who was asked by the agent to come to the office said: Both offices in the evening of thursday was searched ,video taped and then closed. Shadi and Mahbubeh are both in prison since Sunday March 4 / 07.Both of them today called their families and have said that they are together in a cell and they are no loger in a solitary confinement. (IWC) -Under the shadow of nuclear issues, Ahmadinejad's government is trying to suppress the voice of democracy and human rights, semi -independent media, journalists , bloggers , writers and is buisy closing the NGO's. PEN Canada is writing to demand the release from detention of writers Mahboubeh Abbasgholizadeh and Shadi Sadr. 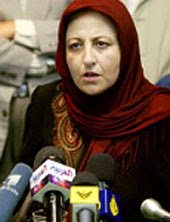 According to our information, both women were arrested on 4 March 2007, among some thirty female human rights defenders and writers who had gathered in front of the Revolutionary Court in Tehran to protest the court proceedings of Nooshin Amhadi Khorasani, Parvin Ardalan, Shahla Entesari and Susan Tahmasebi—prominent members of Iranian women's organizations who had been arrested in previous peaceful gatherings. Since her arrest, Abbasgholizadeh has since been kept in solitary confinement for further investigation. She has not been allowed to contact anyone since her arrest, including her lawyers and her family. Sadr has been charged with “acting against national security.” She, too, is being kept in solidarity confinement under a temporary confinement injunction. There are reports that both women have since begun a hunger strike. PEN Canada believes that Mahboubeh Abbasgholizadeh and Shadi Sadr have been detained in violation of their rights to freedom of expression and of assembly, guaranteed under Articles 19 and 21, respectively, of the International Covenant on Civil and Political Rights, to which Iran is a party and legally bound. We call for their immediate and unconditional release. PEN Canada also urges that Abbasgholizadeh and Sadr be treated humanely while in detention and that they have access to family members and legal counsel. 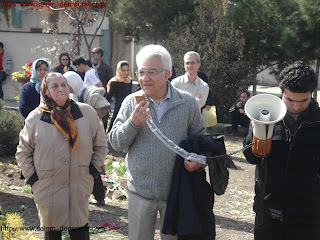 According to Advar news Dr. Naser Zarafshan after spending five years in prison is released! 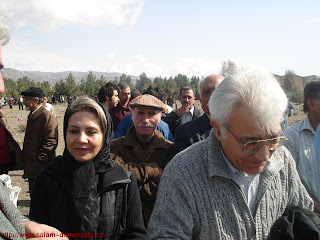 Dr. Zarafshan the prominent lawyer of " serial killings" case file and member of the Iranian Writers Association at around noon time today after spending five years in Evin prison is released. Ahmadinejad's government continue attacking on civil society organizations and this must be stopped!
" Koneshgaran Institute" has been closed and Mr. Sohrab Razaghi the sociologist and director of the centre has been arrested! According to "Roozna" : with the order from prosecutor and Tehran's court of revolution "Koneshgaran Institute" has been closed and its director has been arrested. At noon time today , several agents from prosecutors office have attended in " Koneshgaran Institute" and after arresting Mr. Sohrab Razaghi , closed the centre. It must be added that ; before the closure the agents let all the volunteers of the centre out of the building and searched the centre while Mr. Sohrab Razaghi the director of the centre was watching.
" Koneshgaran Institute " is a volunteer centre who work on civil society and " oneshgaran Institute " has also an online website which reports their activities on human rights and civil liberties. In a rally today in "Baharestan Square" Many teachers have been arrested ! In a meeting between teachers and officials in parliament yesterday no agreement has been reached, on this note, the teachers organized a rally in "Baharestan Square" in Tehran which ended with wide spread of arrests. Teachers rally today was confronted with police forces . 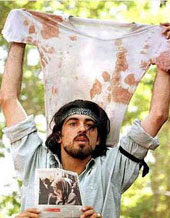 Those who have witnessed this event have told to " Advar News " reporter that: The security and police forces brought tens of buses to the area and threatened the demonstrators for arrest and furthermore, according to report 50-60 protesters have been arrested , among them members of the central council of teachers association including Mr. Bijan Baghani and Mr. Mahmoud Beheshti Langroudi. In protest to the arrest of their leaders , other teachers gathered in front of Ministry of Education and demanded the minister to respond to the situation. Mass women arrest , how did it happen? While March 8 the International Women's Day was approaching the court of revolution in Tehran summoned five women activists who were participated in last years peacefull demonstration in "Hafte Tir square' . These women activists were : Shahla Entesari, Fariba Dawoodi Mahajer, Parvin Ardalan, Noushin Ahmadi Khorasani and Susan Tahmasebi. One news indicate 33 women activists have been arrested. Another news 32 women activists were detained. Shadi Sadr is in Solitary confinement, Shahla Entesari is also in Solitary confinement, Maryam and Nasrin are in general cell, lots of women have been arrested. Among the detainees there are representative of women whom previousely U.S. did not give entering visa to participate in women conference and now these women are in Evin.The first 32 hours of arrest there was no news about the detainees. 32 Star in prison ! 52 hours have past but there are no news from detainees. there was good news the other night some of the detainees are released, and in this morning around 6 person are going to be released , families are worried and have come to the gate of Evin prison and are waiting for their loved one to be released. Everyone have been released and only two are still in Evin prison . Shadi Sadr ( Lawyer and human right activist ) , Mahbubeh Abbasgholizadeh ( Journalist and women activist ). Only 7 days have left to "Nourooz" The Persian New Year. A Canadian journalists' group has asked the government of Iran to immediately release three journalists detained in a protest earlier this week. 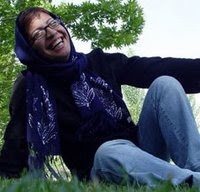 Although 30 others were released, the three women, Shadi Sadr, Mahbubeh Abbasgholizadeh and Jila Baniyaghoub, are still being held in Tehran's notorious Evin Prison, where Canadian photojournalist Zahra Kazemi was murdered in 2003. They were demonstrating in front of the Revolutionary Court in Tehran to protest legal proceedings against five members of Iranian women's organizations who were arrested in earlier demonstrations. "Canadian Journalists for Free Expression is very concerned that these three journalists remain in prison without charge," the group said a statement. The group called for their "immediate and unconditional release." A Human Rights Watch official said the three Iranian women are in solitary confinement and have been on a hunger strike since Tuesday. The Canadian journalists group said they believe the three were singled out because they drafted a statement that called for the gathering where they were seized. "Of the 33 arrested, 22 were journalists, which points to the possible targeting of journalists," said the organization. "With so many prominent female journalists being imprisoned at one time, the government may have hoped to undermine coverage of events such as International Women's Day," which fell on March 8. Abbasgholizadeh, editor of the Zanan quarterly, has been imprisoned before for contributing to reformist websites, while Sadr is a prominent lawyer, journalist and activist who founded the first website dedicated to the work of Iranian women's rights advocates. Baniyaghoub is a newspaper editor who also edits the website of the Iranian Women's Society, and was recently acquitted on charges of "acting against national security" and participating in an illegal demonstration for covering a women's protest last June. "This group of women are always together, and they are very similar in their views," said Morteza Abdolalian, an Iranian-born freelance journalist and founder of Journalists in Exile. "What is unique about them is that they are very critical of the regime of (President Mahmoud) Ahmadinejad. They are pro-reform." "The combination of torture and ill-treatment in detention, closing off of avenues for legal redress, and silencing public information about these abuses has created an increasingly hostile environment for human rights in Iran." "Bonyan" newspaper is closed and its' manager is sentenced to cash fine! According to "ILNA" another newspaper has been closed today and its' manager in charge is sentenced to fine! The court number 1083 of Tehran general division has suspended the license of " Bonyan " news paper and its' general manager Mr. Mohsen Ashrafi is sentenced to cash fine. According to ILNA's reporter Judge Hosainian looked at the case file and determined the set fine as 10 million Rials. The charges against paper is "publication of lies" , '" creating public unrest" and " Insulting the officials" . Parastoo Dokoohaki is somehow saying to the BBC that All Persians are not Tools in the hands of the Holy regime of the Islamic Republic. According to "Mizan" news , the weekly publication of " Salam Jonube Bushehr" is banned for publication and its manager in charge is arrested and its office has been closed. Mr. Mohammad Bagher Abbasi S., the owner and manager in charge of the publication has been arrested by the order of court and was detained. Based on an interview Mr. Abbasi had with the paper ,the prosecutor of the city of Bushehr has charged him for an insult to Islam's prophet. According to the report , around 200 people from conservative background gathered on Friday prayer and chanted slogans against Mr. Abbasi whose paper is a reformist publication . meanwhile , at night time while Mr. Abbasi's family members were at home , his home was attacked by Molotov Cocktail and as a result the front of his home and some of his belonging was burned and up to now no one was prosecuted . The news also reported that : several clergies in the mosque asked their audience to take revenge from Mr. Abbasi and his family. Mr. Abbasi was arrested on last Tuesday.He is a surviver of the eight years war between Iraq and Iran and is one of the active reformist of the city of Bushehr . Sharq newspaper will resume its' publication! Mr. Mehdi Rahmanian the manager in charge of newspaper: After discussion with managing team , we will decide on resuming " Sharq" publication. According to "ISNA", after hearing the defense argument,division 76 of Tehran penal court has ordered lifting the ban on " Sharq" newspaper. After hearing from press jury ,the press court lifted the ban on " Sharq" newspaper and its' manager in charge has been sentenced to pay a fine. 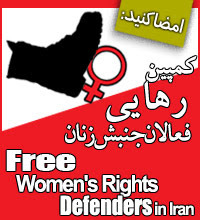 Islamic republic of Iran and women activists fighting for women's right ! More than 30 years ago during the reign of Shah Mohammad Reza Pahlavi , many women from all walk of life, from communist party members to nationalists , guerilla movement , religious movement to writers and journalists , all fought for freedom and democracy and of course were arrested and detained but Shah's regime came to an end finally on 1978-79 by a great social revolution. When the Islamic Republic took control of the country, from day one, women were the target of the Islamic agenda and they become the 2nd class citizen and their social and individual rights was targeted , but anyway, the women continued their struggle. In recent years women increased their activities against Islamic Republic's policy towards women and for their individual and group rights. One of the most important event which effected women's situation was that Shirin Ebadi was named winner of Noble Peace Prize.The population of Iran is 68 million and half of this are women. In a recent poll women students make 65% of university students and women student of law are more than men students. According to another poll women writers are more productive in these last few years in Iran's literary stage and their books are more published and red than men's. Women also organized their own journalist organization for the first time during reformist Khatami's government.In Iran there are hundreds of active women bloggers. Half of the teachers in Iran are women and nurses make the biggest unorganized NGO's in Iran. However, women's movement in Iran is on the plus side . In recent March 8 , international women's day a rally was organized by the Iranian brave women in " Baharestan Square " and 38 women were areested but later 35 of them were released and only three of them Jila Baniyaqub , Mahbubeh Abbasgholizadeh and Shadi Sadr remained in jail in Evin prison. The latest news indicate that Jila was also released and now it is Shadi and Mahbubeh who are still in prison.Mahbubeh is a journalist and civil rights activistand Shadi is a journalist and lawyer and a human rights defender. These wave of women's arrest in Iran raised wave of protest from inside and outside of Iran by NGO's and the support for these women and protest against Ahmadinejad's regime is being contiued. Last few days i was in Sudbury with the invitation of Laurentian University speaking on Freedom of Expression. Discussions around freedom of expression can be abstract and complex, but for the majority of journalists around the world, the issue is a simple matter of life and death. Journalist Arnold Amber, president of Canadian Journalists for Free expression, was one of a strong slate of speakers at Laurentian University's Colloquium on freedom of expression, held Thursday on campus. Amber appreciated the philosophical papers on the subject presented by a pair of Laurentian students to start the discussion. 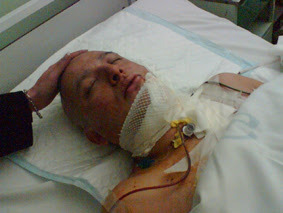 But he brought the issue down to harsh reality when he spoke of the reporters who die for writing and speaking freely. The fight for the freedom of expression among the world's journalists goes on year after year, generation after generation, Amber said. And every year, more of them are murdered for doing their jobs. "The reality is, you can be killed," he said to an audience numbering more than 100 - most of them students. Amber said 86 journalists were killed last year "for being journalists," and another 40 to 50 people died serving them. Many were killed while covering wars and disasters, but others were thrown out of windows or shot in the back. Nine of those were reporters murdered in Mexico, a country which has a free-trade agreement with Canada, but which is run by an increasingly lawless regime, Amber said. In Russia, which has seemingly embraced democracy and free speech, 44 journalists have been murdered since 1994. "They get killed for doing a job that people in this city, reporters here, would never get killed for," he said, adding that of the world's 160 countries, only 30 to 40 of them allow journalists to do their job freely, without threat of reprisals. Hassan Cherif Kala fled his native Chad in 2000, after being repeatedly jailed and harassed for doing his job as a journalist, and for promoting freedom of expression, democracy and good governance. He came to Canada, where he found a new level of free expression. "Now, I am able to fight for Africa from here," he said. "Now I can write what I want to write." 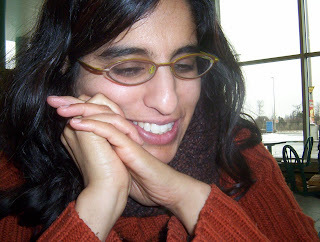 Kala has written numerous articles and editorials for newspapers and websites, discussing Chad's involvement in the crisis in Darfur in the western Sudan. The Chadian regime, he said, has directly contributed to that crisis. "freedom of expression means a lot for journalists, means a lot for writers," he said. "But we have to ask, in terms of freedom of expression, what is our limit? What we want to do when we express, is help a part of the population. There has to be a sense of responsibility and a respect for rights." 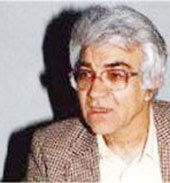 In the 1980s, Iranian poet and human rights activist Morteza Abdolalian was imprisoned for his efforts to promote freedom of expression in his homeland. He escaped his captors and made his way to Canada in 1990. While a reform movement managed to take hold in Iran throughout the 1990s, Abdolalian said the present regime under Mahmoud Ahmadinejad has turned back the clock and is stripping away freedoms in that country. An "anti-woman" policy, he told the audience, has been implemented in an effort to reduce the number of women in colleges and universities. A growing militarism in the country, he added, threatens to escalate conflicts in the Middle East, a region of the globe desperately in need of liberal democracy. The young people of Iran, which make up a significant portion of the population, are the country's only hope for democracy, he added. Most of them are connected to the Internet and are accustomed to free expressions and access to information. A country can't be a democracy without the freedom of information, Amber said. An individual can only grow, mature and thrive when they are free to explore the world of knowledge, free to explore the truth. "freedom of expression does affect all of us as individuals," he said. "It speaks to our ability to be a complete citizen. We need the ability to reach our full potential in life." Canada is not guilt-free when it comes to allowing free expression among journalists, Amber added. Too much information is derived from the press releases of companies, government and institutions, he said - all of it biased in favour of the issuer. And there is inadequate protection for sources in this country, to the point where a reporter can be forced to divulge sources in a court of law, or face charges. three journalists detained after a 4 March 2007 demonstration. women's organizations who were arrested in previous demonstrations. 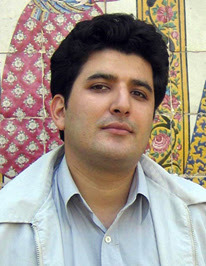 Mahbubeh Abbasgholizadeh is the editor of the "Zanan" quarterly journal. subject of Iranian women and their legal rights. alert her name was spelled "Baniyaghoob"). Women's Day with their immediate and unconditional release. expression and press freedom in Canada and around the world. Despite of fear for arrest women activists organized rally for March 8 International Women's Day! Except Ms. Shadi Sadr , Ms. Mahbubeh Abasgholizadeh and Ms. Zhila Baniyaqub the rest of the women activist have been released from Evin prison. Zhila and Mahbubeh are journalist and Shadi is a lawyer and a defender of human rights in Iran. in another news, today ( Thursday march 8) on the occassion of International Women's Day a rally was organized by women activists in" Baharestan" Squre in front of legislative assembly in Tehran. Around 300 women were present and clashes have been repoted between special gurds and women protesters and there has been reports that six women and a man has been arrested. Despite of police and special gurds presence the women activists were able to read their statement for this day through Ms. Shahla Entesari. On Sunday March 4,2007 , 38 women activist in a peaceful gathering in front of the "court of revolution" in Tehran were arrested . This gathering was in protest to the arrest and trial of five women movement activists. The protesters were carrying placards which was saying: "According to the article 27 of the constitution; peaceful gathering is allowed " . 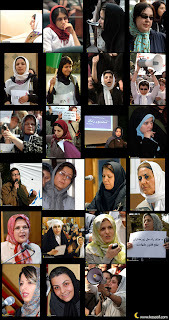 Now, 38 of these women protesters are arrested and detained in Evin prison. No news about the situation of 33 women activists detained in Evin prison! Roozna: 33 women activists who have been arrested on Saturday in front of the "court of revolution" in Tehran are transfered to cell# 209 of Evin prison where Zahra Kazemi was murdered . According to general manager of the prisons in Tehran these women are under interrogation by the agents from prosecutors office. Mr. Sohrab Salimi have said: The crown has started its investigation about the case file of detainees.According to Mr. Soleymani the situation of detainees will become clear by today or tomorrow . According to the families of detainees; the condition of detainees are not known and there are no information about their legal situation. Today ( Monday March 5/07) around 60 relative of these women activists gathered in front of the gate of Evin prison. On Sunday (March 4)the women activists gathered in front of court of revolution and many have been arrested among them journalists and writers. is believed to be held incommunicado. hours in cold winter weather to reach Sanandaj, which have all been denied. more weeks, although he is not known to have been charged with any offence. reportedly been tried in connection with articles published in the journal. against him have been made known. United Republicans of Iran calls for an immediate and unconditional release of women activist arrested by the Islamic Republic of Iran. DUBAI 6 Oct. (IPS) The chief executive of Qatar's Al-Jazira satellite television slammed Western media Saturday as "envious" of the success of his channel, which he described as "objective and independent". "(Some) Western media envy Al-Jazira's successful coverage of international news," said Mr. Mohammad Jassem al-Ali without naming the media concerned. "These media claim that Al-Jazira's coverage is hostile to the United States, which is patently untrue" he said in a reference to reporting of the aftermath of the September 11 terror attacks on New York and Washington, the "Middle East On Line" reported Saturday from Dubai. "Al-Jazira gives the US viewpoint as much space as it gives the Afghan viewpoint," Ali said, noting that the channel has three correspondents in the United States and is the only one authorized to broadcast continuously from Taleban-ruled territory in Afghanistan. "Reporting Ben Laden’s news was independent and professional", he pointed out. Qatar's Emir, Sheikh Hamad bin Khalifa al-Thani, acknowledged during a visit to Washington Wednesday that US officials had raised concerns about the station’s coverage and said Doha would consider it as "friendly advice". At the same time, he stressed that Qatar was rapidly evolving into a parliamentary democracy that embraced the whole scope of human and civil rights. "Within two years (Qatar) will have a parliamentary life with a democracy that dictates that freedom of the press should be granted and that the press should enjoy credibility," Sheikh Hamad said. US officials said they had expressed concern to the Qatari ruler about Al-Jazira's allegedly biased coverage of the September 11 attacks. The officials said they were concerned that, in the aftermath of the attacks, Al-Jazira had repeatedly broadcast interviews and talk shows featuring commentators with anti-US and anti-Western views. They said they wanted to see more balanced programming and wanted Doha to use its influence with Al-Jazeera to ensure that. But informed sources say powerful and influential US television corporations such as the CNN are "simply furious" that Al-Jazira has managed a kind of monopoly on Taleban-related news, as the station is the only one in the world having two correspondents in Afghanistan, including one in Qandahar, where lives Taleban’s supreme leader Mollah Mohammad Omar Akhound. Founded in 1996, Al-Jazira is the most widely watched news channel in the Arab world. The 24-hour channel has revolutionized the Arabic news industry through uncensored news programs and open debates. The Qatari government is a part-owner of the station, which has made a name for itself in the Arabic-language news business with often-acclaimed reporting and an independent editorial policy that is rare in the region. But independent journalists objected this view, countering that what has angered both the US Administration and TV media is that Al-Jazira was the first to disclose the capture of US special commandos by the Taleban as well as the downing of a US drone reconnaissance plane over Afghanistan. Al-Jazira also it another "scoop" Friday by releasing a videocassette showing Mr. Ben Laden, the prime suspect in the 11 September terrorist operations in New York and in Washington D.C.
"It is only astonishing that a country where the freedom of the press is enshrined in its constitution is urging another nation to curb its press just because it does not pleases the Americans", one Iranian journalist observed, adding "if this not arrogance, what else is it?". "There is no pressure on us by the emir who, since the launch of Al-Jazira, encouraged us to be independent and professional", Ali said. "In the event of excesses occurring, the solution is to resort to the courts", he said. Since its launch in November 1996, Al-Jazeera has gained considerable popularity among viewers in the Arab world, while annoying many governments for tackling political, social and sometimes sexual issues previously regarded as taboo, as well as providing a platform for Arab dissidents. "At one point, we were accused of being agents of the Americans, the Zionists and the Iraqis at one and the same time" Ali pointed out. US pressures on the Qatari ruler to harness Al-Jazira drew a sharp protest from several leading American and Western media and organisations concerned with the freedom of the press. In a statement released Friday, the Committee to Protect Journalists (CPJ) expressed Thursday "deep concern" by reports that U.S. officials pressured Qatar in an attempt to influence the news coverage of the satellite channel. in Al-Jazira's news coverage", the New York-based CPJ said in a communiqué. On October 2, the, U.S. Embassy in Qatar filed a formal diplomatic complaint with Qatari authorities regarding Al-Jazira's coverage, CPJ further said, without mentioning which programmes or what coverage have raged the American Administration. Although the Qatari government subsidizes Al-Jazira, the station has been widely praised for its editorial independence. Over the years, Al-Jazira has drawn a steady stream of complaints from Arab governments angered by its reporting.